The COCOA Street Signs project is a collaboration between COCOA (Castlegate Open Community of Artists) and Patrick Murphy from Made North. 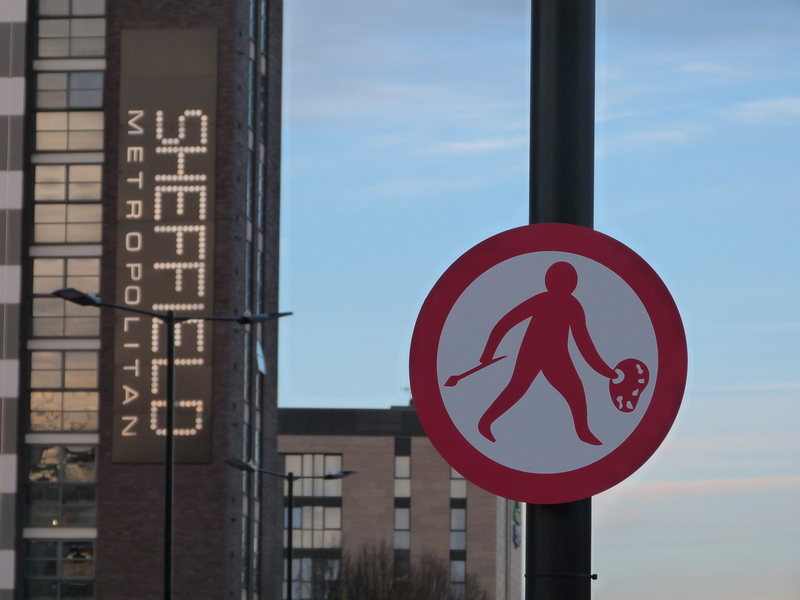 It has developed from the British Road Sign Project that marks the 50th Anniversary of the British Road Sign. Three unique road signs on the theme of ‘artist at work’ have been created for Castlegate from sketch designs made by young people from High Storrs School during a workshop led by Castlegate Artist in Residence and COCOA lead artist Paul Evans. Look out for these during Yorkshire Artspace Open Studios Friday 20th – Sunday 22nd November 2015.